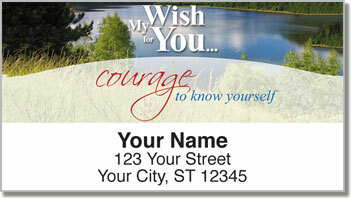 Here's a special set of return address labels that combines striking scenery with inspiring words. 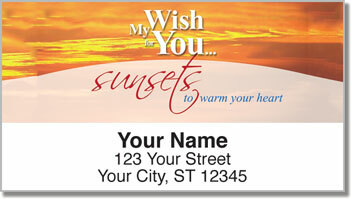 Each label features a personal wish full of positivity. 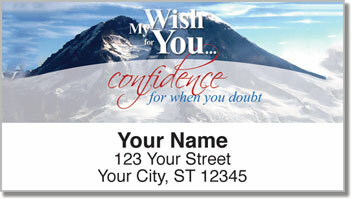 You can stick them on letters and packages for a finishing touch that can express encouragement, sympathy and happiness. You're a kind-hearted person and this is the perfect way to mark your mail. You'll also appreciate how much easier it is to fill out envelopes with your return address. Thanks to a convenient, self-adhesive backing, all you have to do is peel and place. 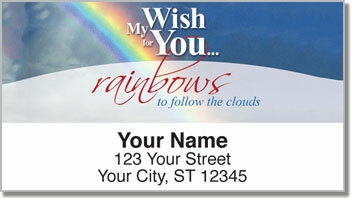 Get your own Wish for You Address Labels right now! Order them with matching personal checks.